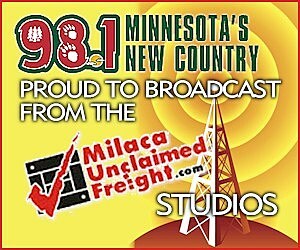 98.1 Minnesota's New Country has your back. We're giving you a chance to win cash and we want you to have everything you need to know to win. Check out our favorite fishing classics and set sail to have a great time on the boat with these "catchy" tunes. Minnesota is welcoming back it's state insect for the spring and summer months! Treasures are everywhere, you just gotta look for them! Join us for cocktails and art class with our new Paint-N-Party nights!